Hi guys! We established in yesterdays post that it is ok for me to say this. We are making ti through the week, kicking a** and taking names. I mean that literally, I was taking names from one of my kid’s classes for a craft I am organizing. I was literally taking down names, that is what that expression means, right? 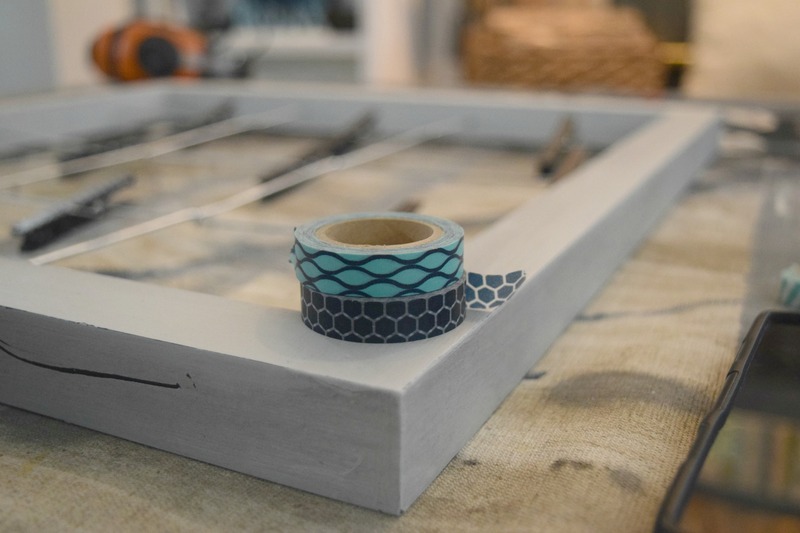 See I knew I was wise, which brings me to the topic of today Wise Owl paints help freshen up a wall paper organizer. See what I did there with the transition? 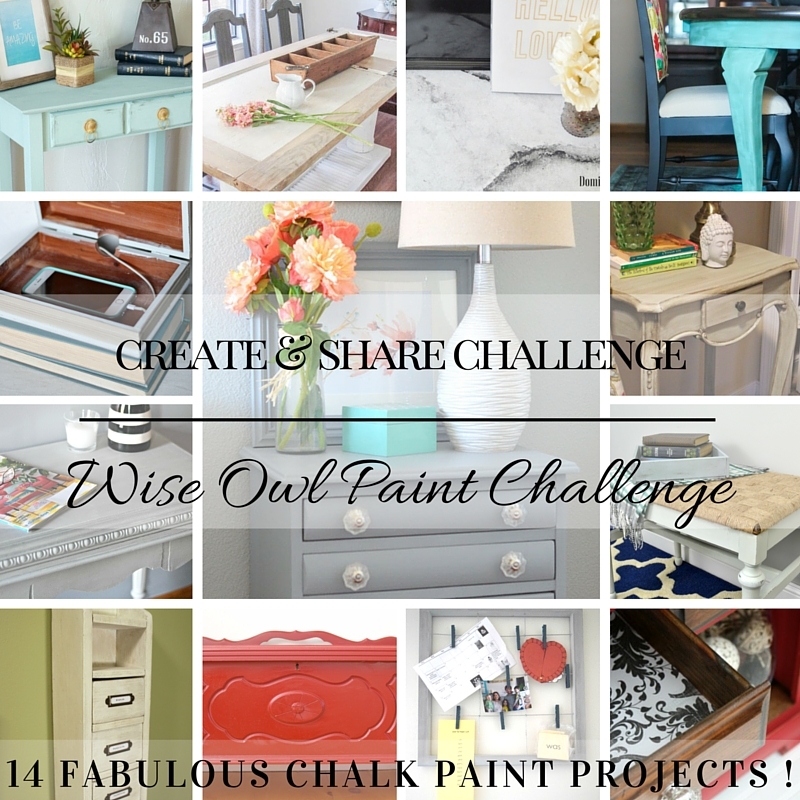 I am wise and I am talking about Wise owl paints, yep I am getting this blogging thing down for sure! 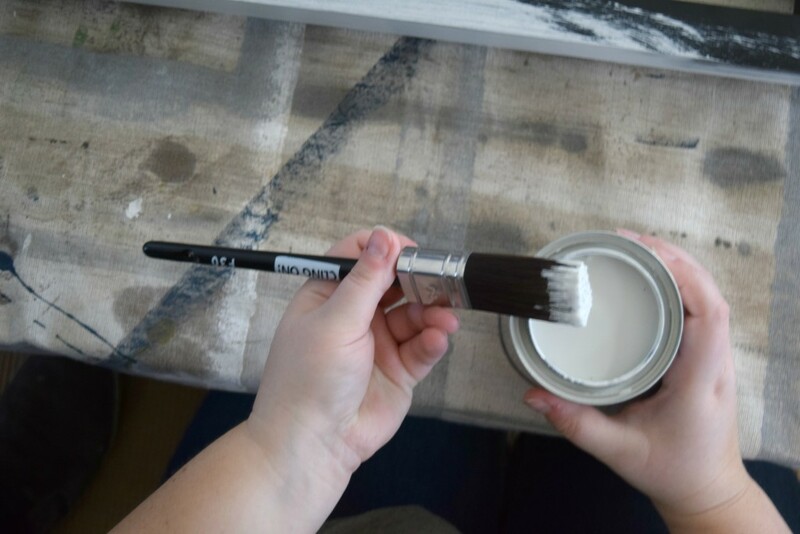 This is not just about paint, but about a fun and wonderful group of my closest blogging friends coming together to share some fun ideas. 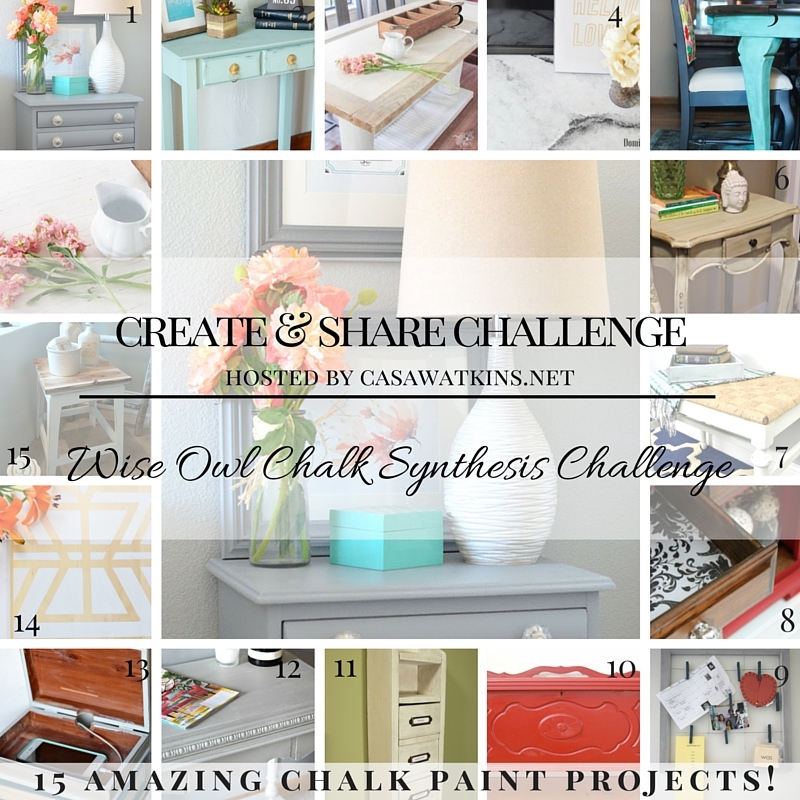 We call this Create and share challenge and I have another edition for you! All of the talented ladies posts will be linked in the bottom and you can blog stalk them to your crafting hearts content! The links to these projects are at the bottom of this post! 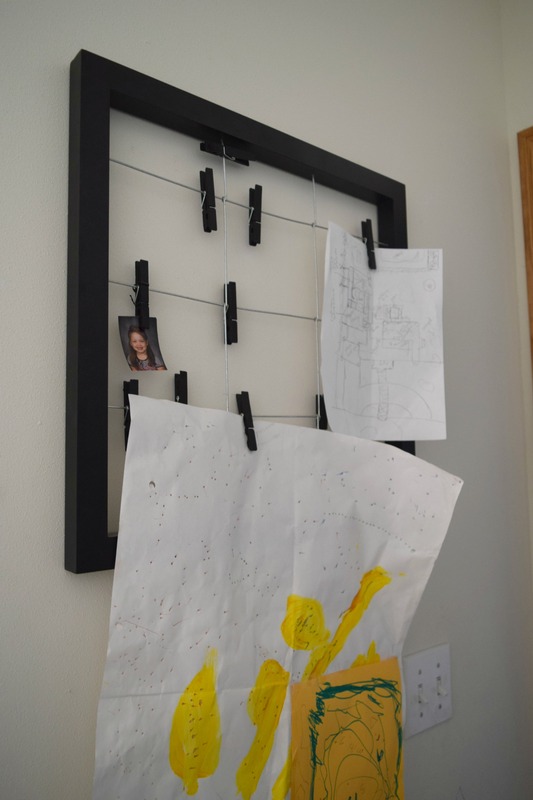 I have been wanting to redo this paper wall display, I adore the idea of it and my kids are constantly filling it with notes and pictures. But the color and feel of it for my home was all wrong. However, it is a metal type finish so the standard furniture redo is out. I used my Wise Owl chalk paint in the Limestone color with the shades of gray wax. I felt it was fitting, clean and sweet for the foundation but a little fun and spunky for the top coat. This is the piece I am painting. The prep work consisted of me wiping it down to get rid of dust. Not that I ever have any, EVER in my home…. 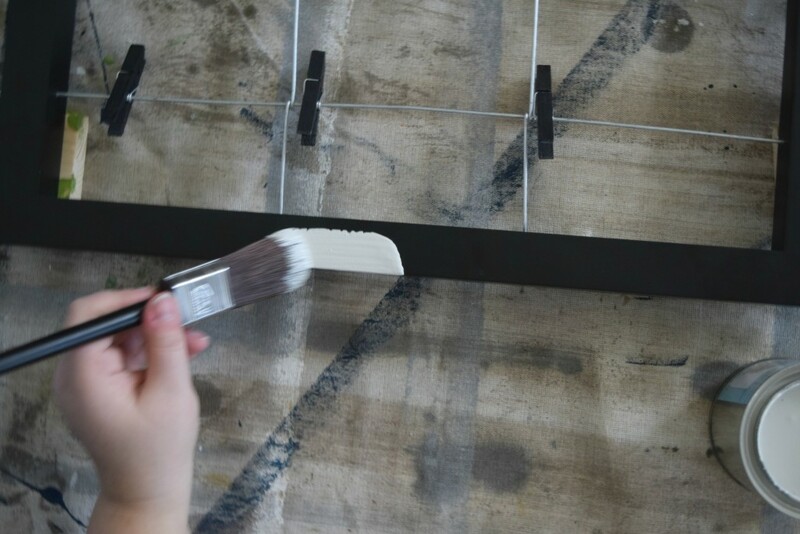 The paint is a little thick so be sure to not glob it on the paint brush. Slow and even strokes from one side to the other. 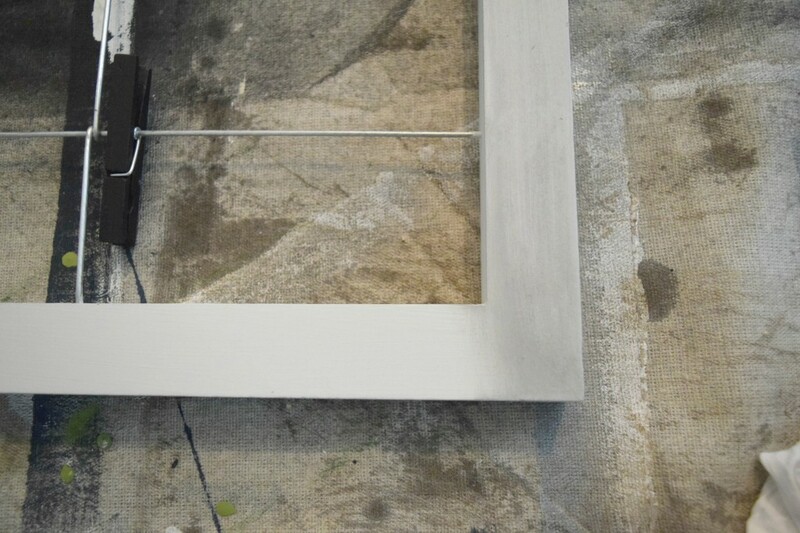 The above picture is with one coast of paint on it. You can still see the lines and brush strokes. 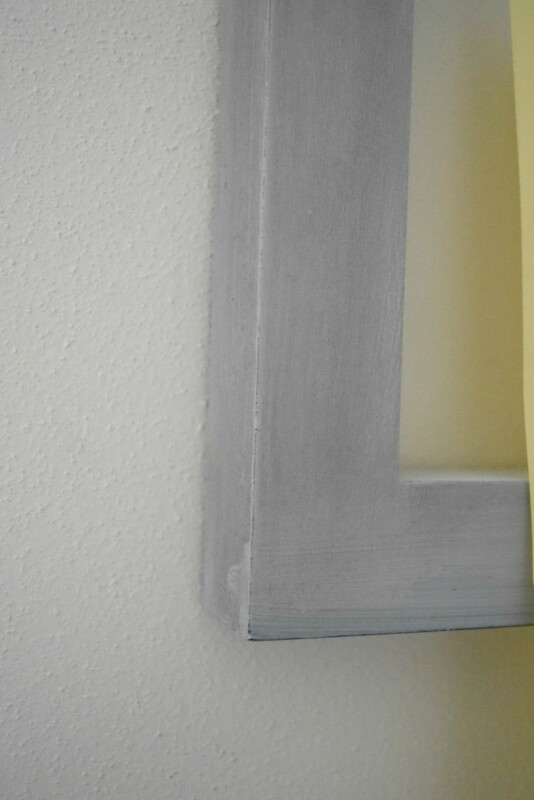 I did two coats of the paint and it covered everything beautifully with not one brush line showing. This is the wise owl Wax, and I picked the shades of gray. Dale is the hand model for this portion of the programming. I was the photographer and director. Rub a wash cloth into the wax, because there is a white and black side to this I can select the darkness of the wax finish. I wanted a light gray. 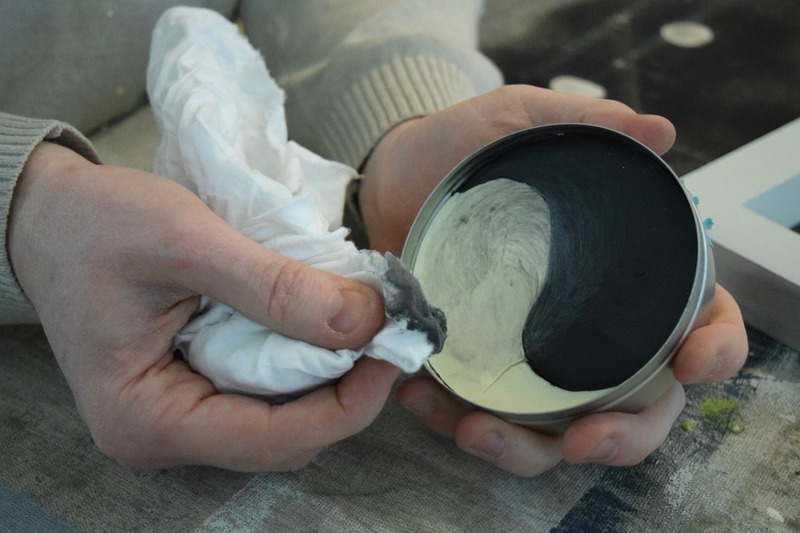 Dale rubbed the rag into the wax mixing the two colors together. The rub like no ones business the was into the surface. Wax on- wax off. I have been holding that little nugget or a joke for a while now, your welcome! The key here is to start blending the two colors together before the ax even ends on the surface, blend it into the rag. Then when you rub it in long and quick strokes to get the wax rubbed in. Here is the wax after it was applied. All mixed up with even amounts of black and white used. 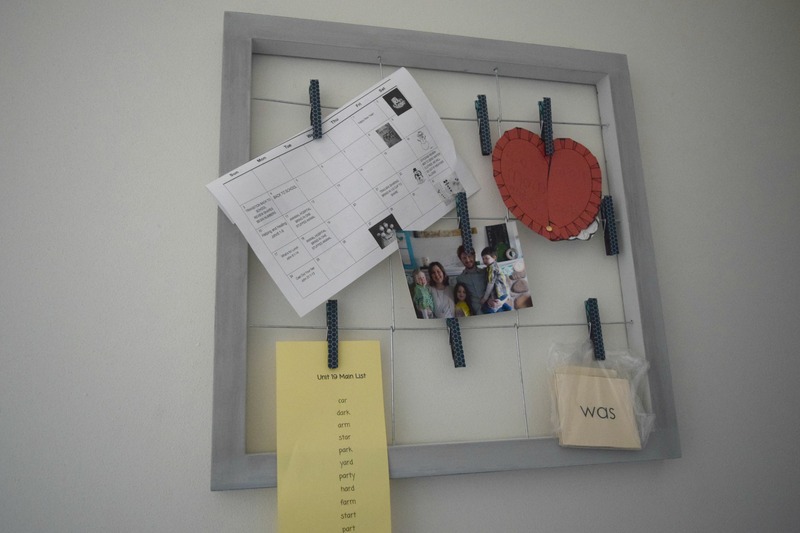 You can see the right portion of the wall organizer has a gray tint to it and the left does not. This is the subtle finish I was going for. 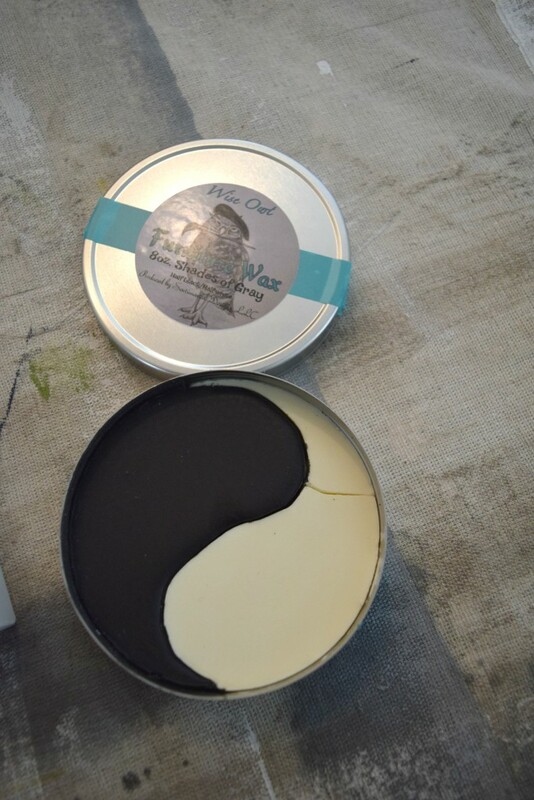 The wax needs to be rubbed in, and if there is still a sticky consistency to it wipe more away. The next step was simple, I wanted to add a little fun and pop to this piece. We all know I love my pops of color. Using decorative tape. Attach it to the clothes pins. I used two different kinds for a two tone look. That is it my friends! This Wise Owl paints help freshen up a wall paper organizer is done. I have a way to display my kids artwork and it fits in well with the rest of my home now. The effect this paint had was stunning! When I was done I wish I had painted something bigger because I am loving the look of it. I did not add the wax to the inside of this. 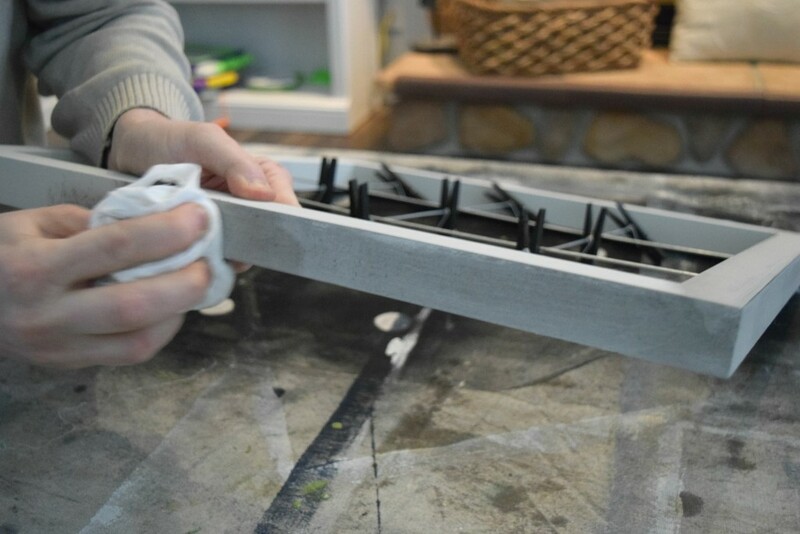 I thought it looked good to have the two-tone feel to the metal as well as to the clothes pins, have them all blend together. I am worried I have gone to the dark side of busy patterns. I love them so much and want color and patterns everywhere! Someone please stop me if I take it too far. Message me, email me, send a tweet, a, professional , anything to make sure I do not take it too far. This process was really simple to do, and I always say I like the instant results of redoing something. I see the before, the in-between and the afer right away. Now for the moment we have all been waiting for…. 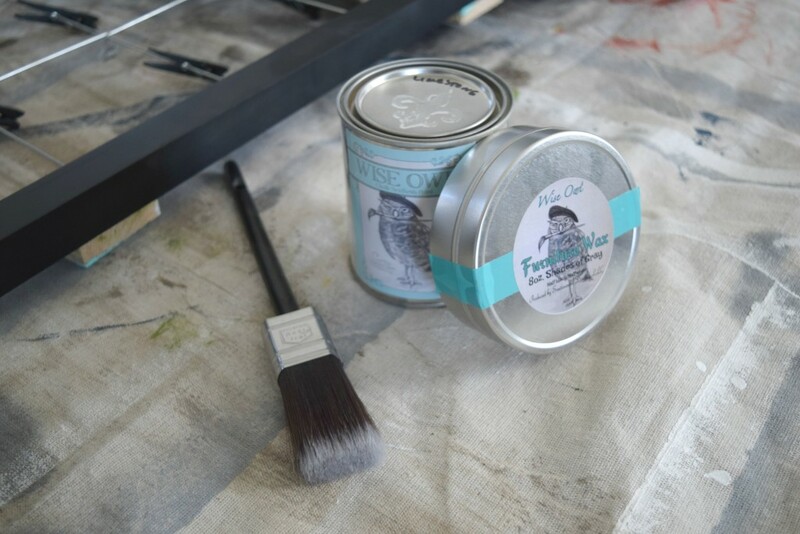 the giveaway for you to win 1 pint Wise Owl paint, 1/2 pint of paint, choice of wax, and cling on brush and the chance to enjoy the other projects! I enjoy blog hops and challenges like this so much because I have an easy way to see tons of inspiration! 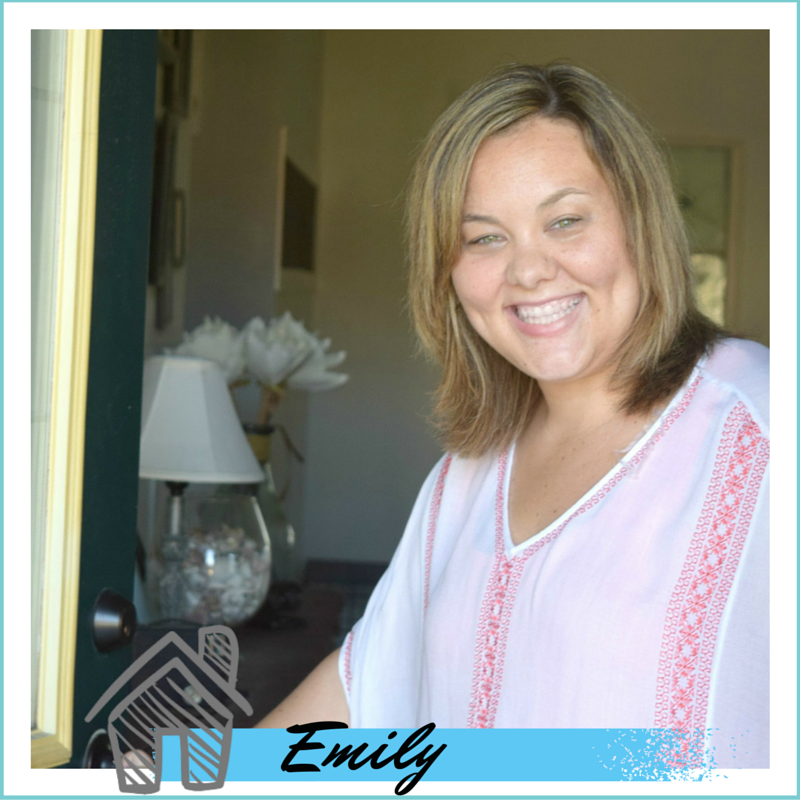 Look great Emily! It’s so much fun to see everyones color choices! And that swirled wax looks like a ton of fun! Pinning! Thanks Cat! Everyone did an amazing job! What a great DIY project this is. I absolutely LOVE how it came out. 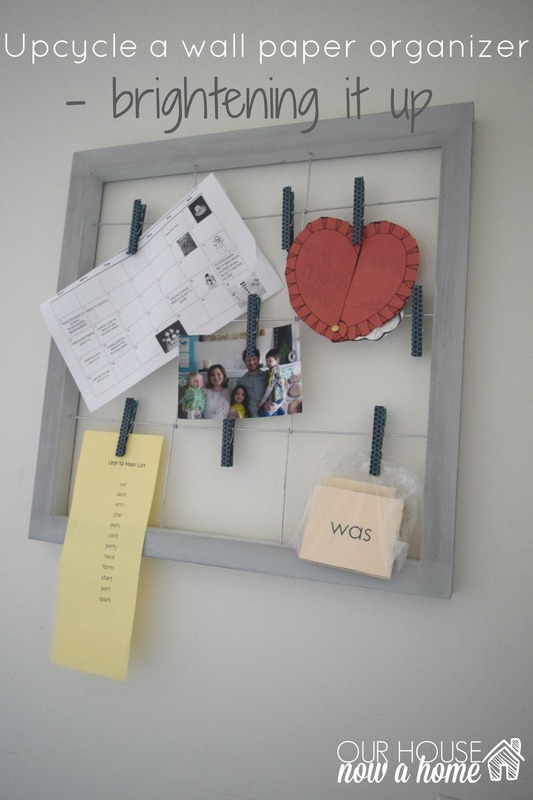 This is cute DIY project. I love places to hang things that the kids make me. Thanks! I do too, I cherish all of their work. That came out lovely. I just love paint. A little louder now – I just love PAINT! 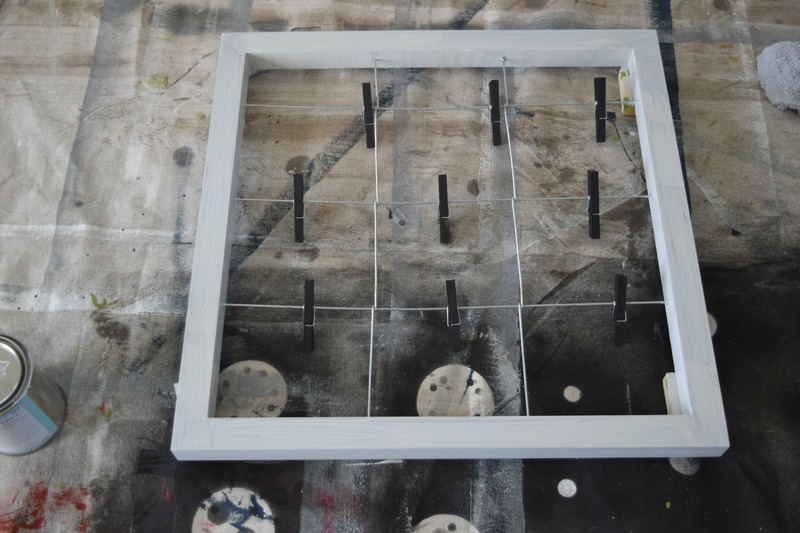 We constantly have some sort of project going – get bored – paint it. 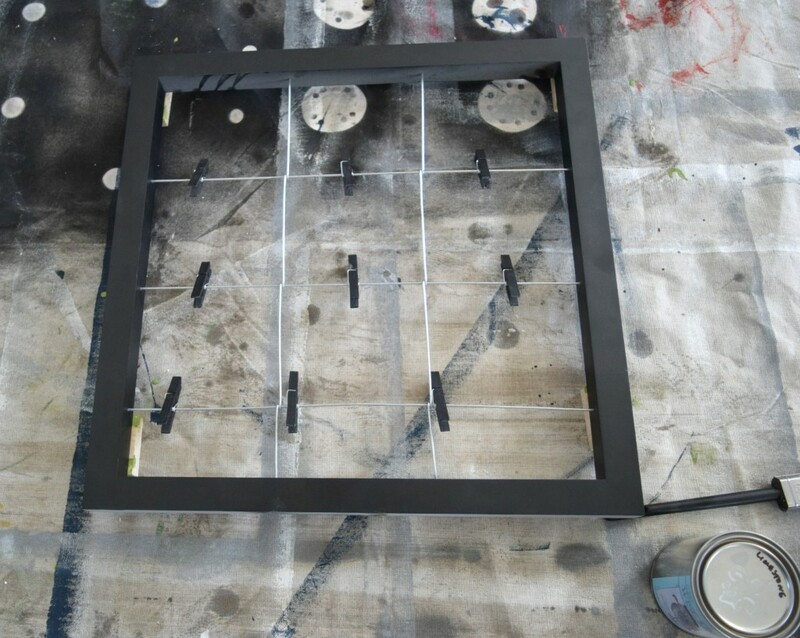 I love painting things too, it is the instant gratification of redoing something, it becomes new again! it looks great and the shade of grey works perfectly in your home. Thank you! It does fit much better in my home now. Great job! It sure turned out wonderfully! I can see using this to keep all my coupons and recipes organized! Oh that is a great idea to use this! Love! 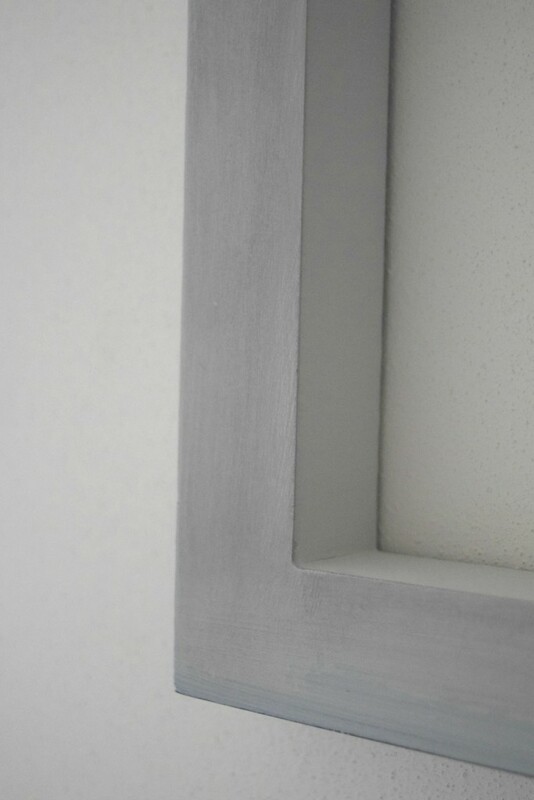 The Shades wax adds such cool dimension! 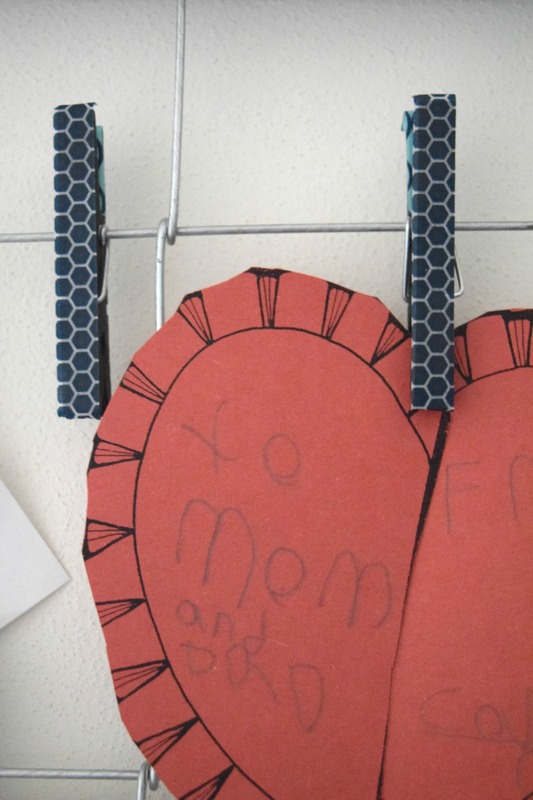 What a cool up-cycle to display goodies from the little ones! I just adore! Thanks for sharing and for being a part of this cool blog event! The wax added a great feature and texture to this! I love the new look! 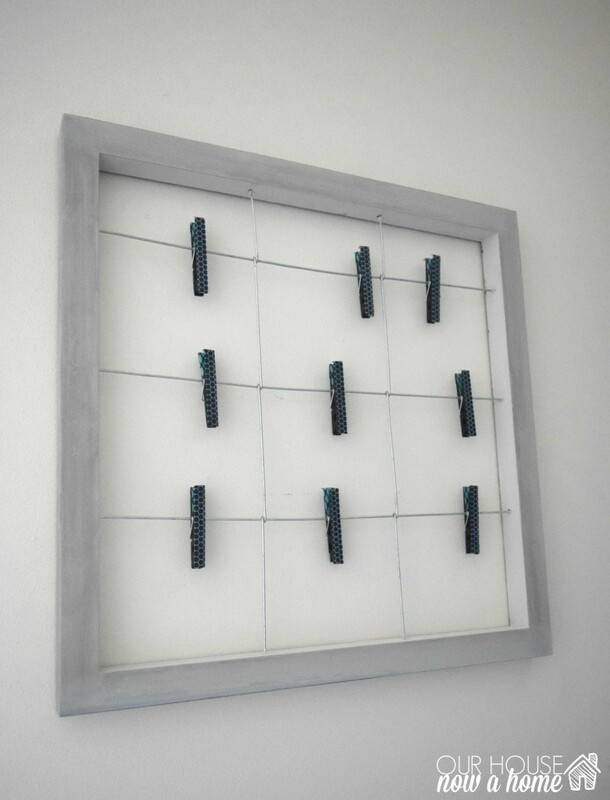 The covered clothespins are super cute. I think that is a really cute way to keep track of school papers, etc. Thank you! This would be a great way to keep track of papers. I have never heard of that brand…but I love the name. Your project turned out great!! 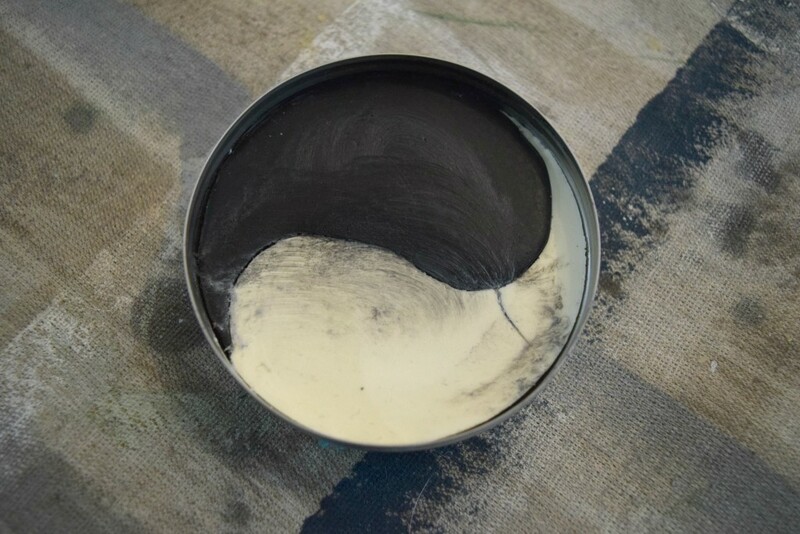 This brand of paint was great to work with, it went on smoothly and covered so well. Wow you did a great job with that. I’ve never heard of Wise Owl before this and will have to check them out. Thanks! It was a new brand for me and I love it! I have never heard of this brand! Your project turned out great!! Congrats! Such a cute DIY idea. First time I learned of this brand. Kudos on a great project. Thanks! It is a great paint to use! 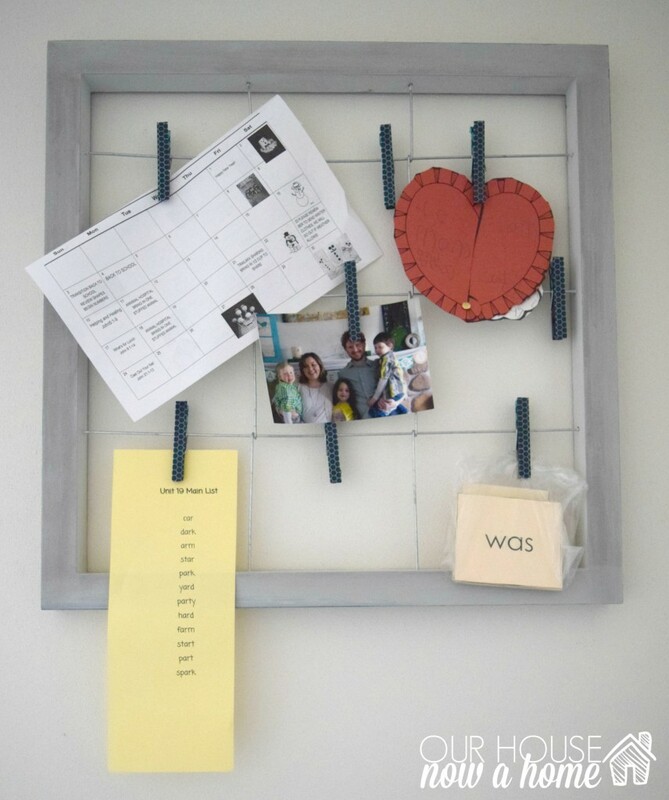 I love this and I so need to do a paper board like this. That Wise Owl paint looks amazing! Pinning. Thank you! It was amazing paint to work with! Thank you! That was a last minute addition, I wanted to add a little fun to this. It looks so much better! 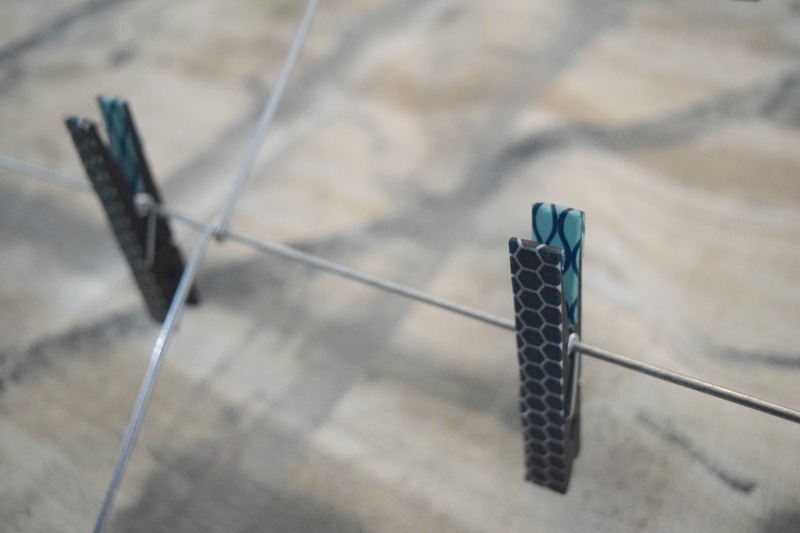 What a great idea to update the clothespins with washi tape. That wax looks so cool – I might have to get some of my own! Thank you! The wax was easy to use and the results are amazing! This is so cute!! 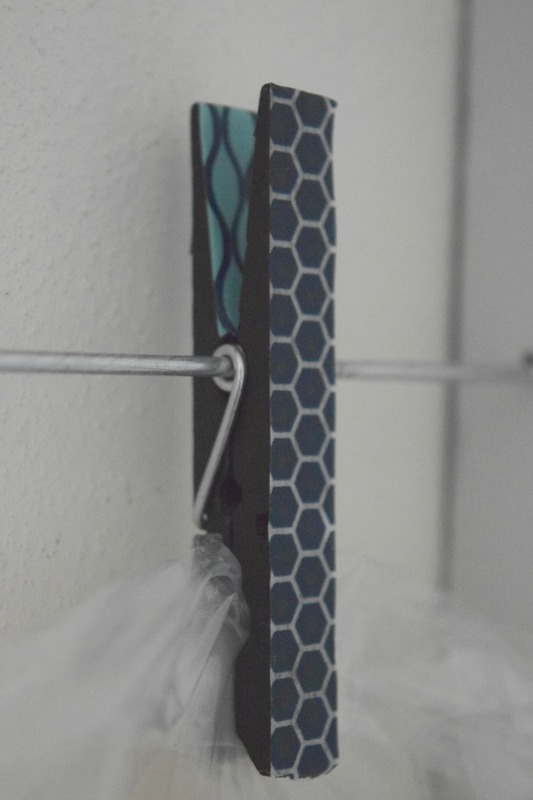 And I love how you used the tape to update the clothespins! LOVE this idea! 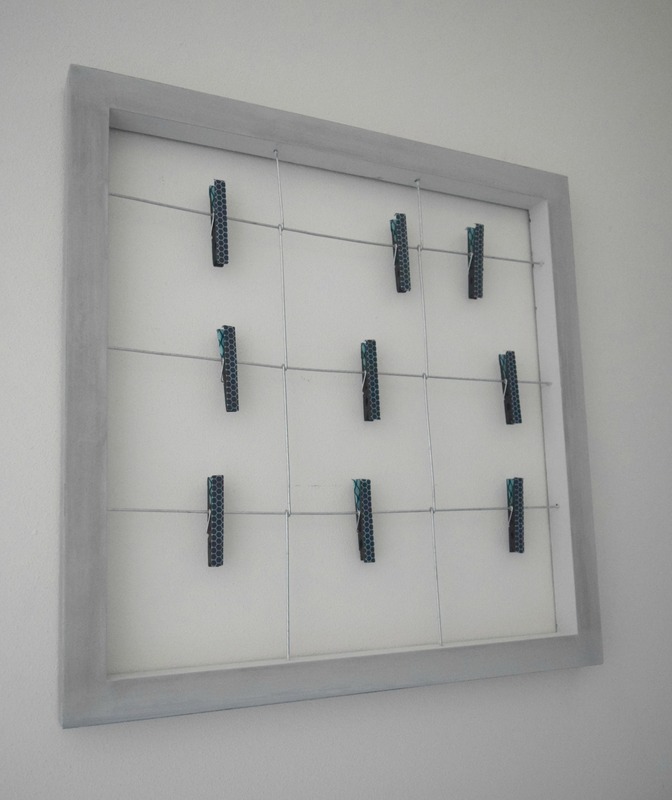 I really need a wall organizer for my home. 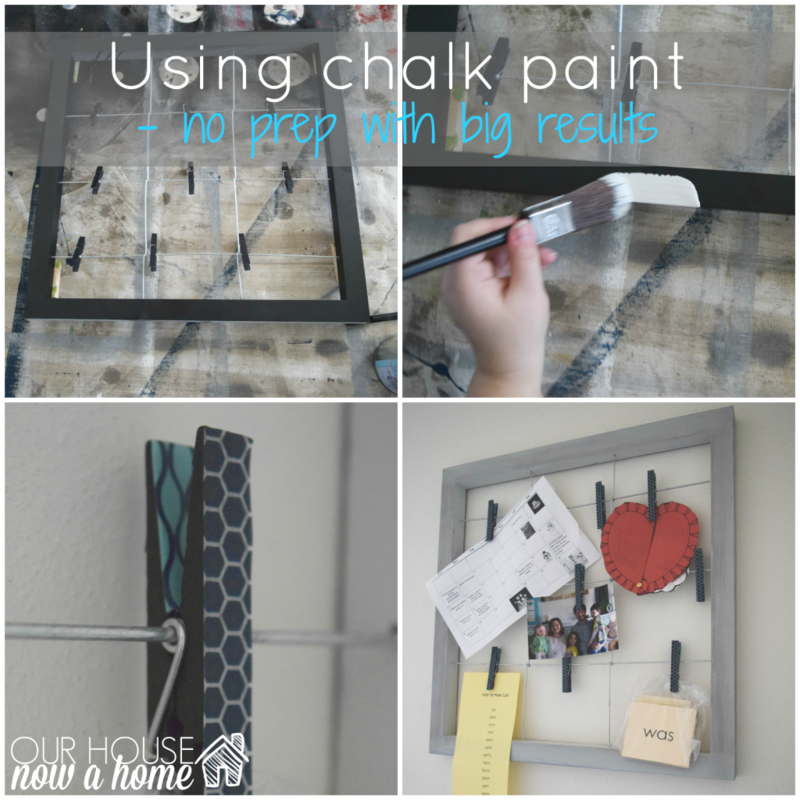 That paint looks awesome and I just love the whole idea of that wall organizer! LOVE how you jazzed up those clothes pins! I love that wax, it brings an extra layer of detail thats so simple. Definitely want to try it. I love the wax used too! That gray is so dreamy! Love this! 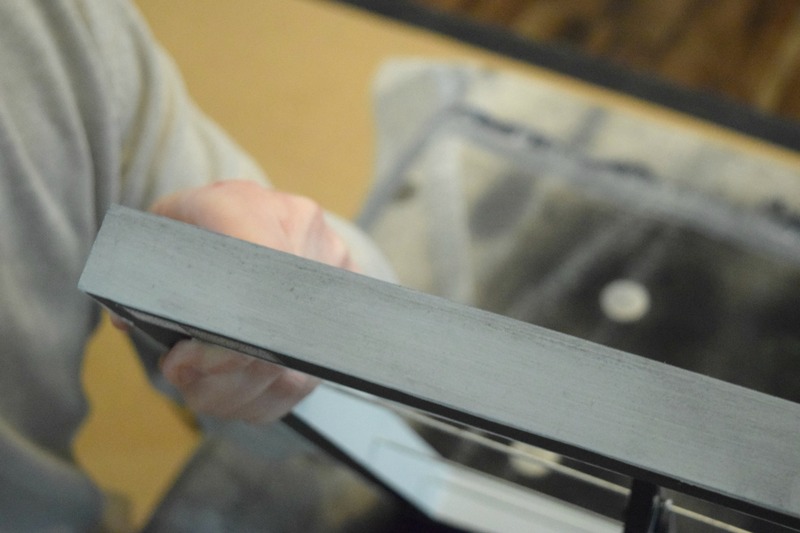 Sooo good – and makes me wish I’d picked the shades of grey wax…a little goes such a long way and you’ll be able to use it over and over again! 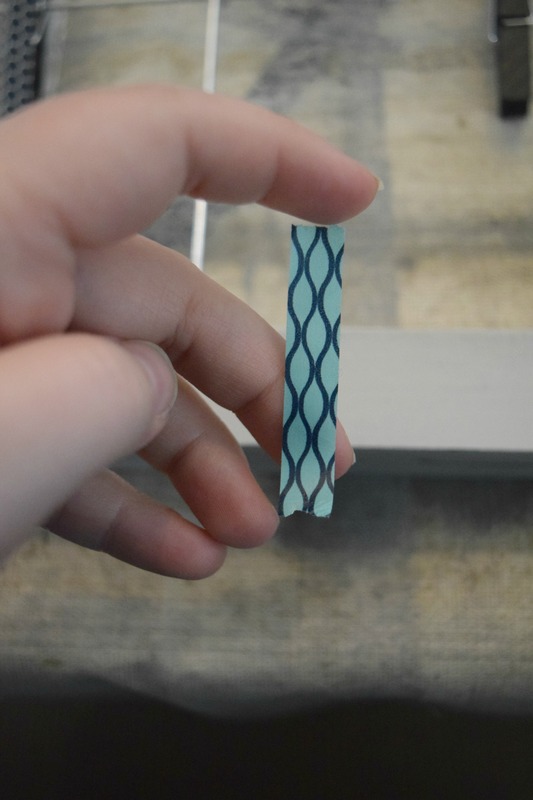 The washi tape is a really cute detail too! Yes, I am eager to use the wax again. I can see me going overboard with it in my home. What a fun update! The colors look great and the washi tape on the pins are adorable! Too Emily! Love how you even covered the pins! The paint choice was great for this project! Pinning!